TOKYO (AP) — Japan's Prime Minister Shinzo Abe declared a "monetary regime change" Tuesday as the central bank bowed to government pressure, setting a 2 percent inflation target aimed at helping the country emerge from its prolonged bout of deflation. "This opens a passageway toward bold monetary easing," Abe told reporters after the Bank of Japan and government jointly announced the inflation target and plans for "open-ended" central bank asset purchases similar to the strategy followed by the U.S. Federal Reserve to keep market interest rates low. 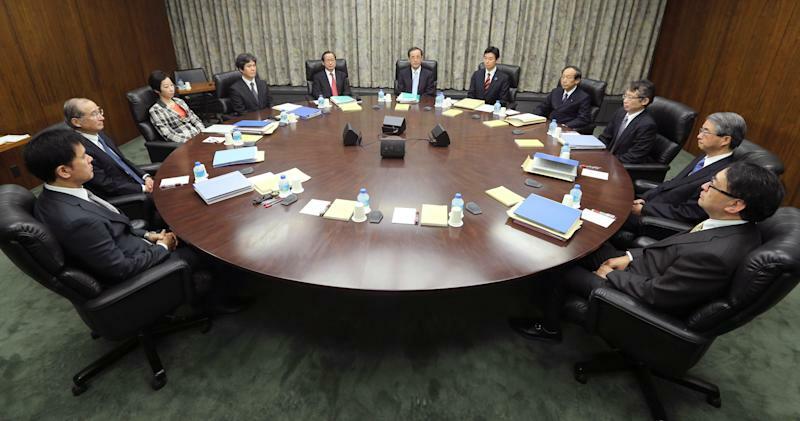 However, there was a caveat: The BOJ's new asset purchases won't start for a year. The yen strengthened against the dollar after the BOJ announcement though it is much weaker than it was before Abe's Liberal Democratic Party won a landslide election victory last month. Abe began lobbying the central bank to ease monetary policy even before he took office in late December, saying more aggressive action was needed for the world's No. 3 economy to escape from years of falling prices that can dull consumer spending and business investment. His campaign to influence the ostensibly independent central bank has met with criticism at home and abroad. Ahead of the BOJ's policy announcement, the president of Germany's strongly independent central bank, the Bundesbank, cited the Japanese government's pressure as an example of "alarming encroachments" on central banks' independence. Bank of Japan Gov. 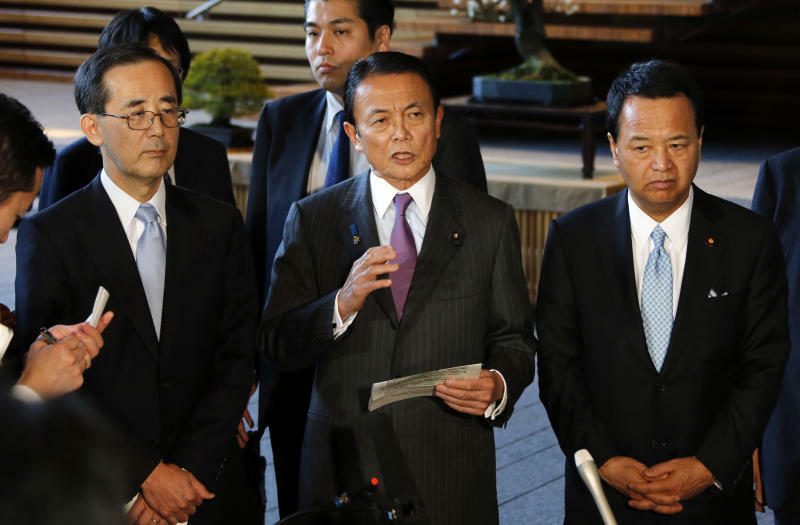 Masaaki Shirakawa vowed to achieve the inflation benchmark "as soon as possible," in cooperation with the government. Some economists believe a moderate amount of inflation is grease that can make the wheels of the economy spin faster. The higher inflation target "would also have to be backed up by substantial policy measures to achieve it, otherwise the Bank of Japan might simply end up missing an inflation target of 2 percent rather than, at present, missing one of 1 percent," Capital Economics said in a commentary Tuesday. 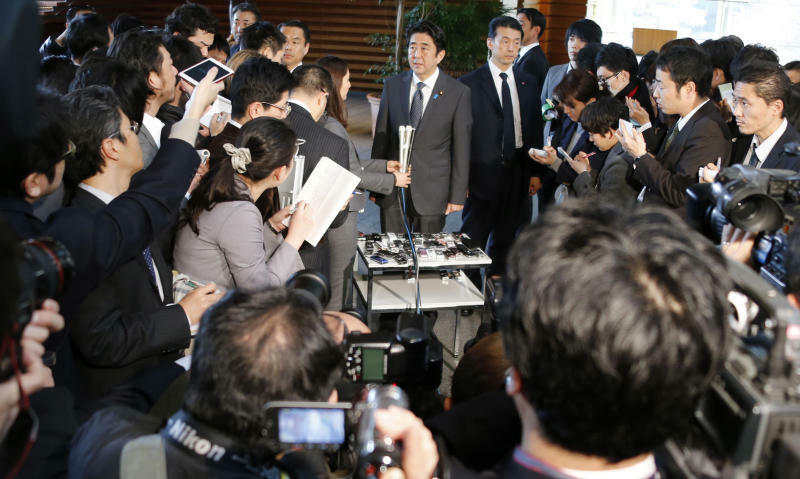 Abe wants fast results before an election for the upper house of Japan's parliament in July. His government is seeking to spur growth both through heavy government spending on public works and other projects and through monetary easing. Still, popular magazines are already forecasting an "Abe bubble" in share and real estate prices, driven by the money being pumped into the economy through government spending and monetary easing. Financial markets have rewarded Abe's campaign pledges with a rally in the benchmark Nikkei 225 stock index, which has gained nearly 22 percent in the past year, mostly in the past few months. Meanwhile, the Japanese yen has weakened against other major currencies, relieving pressure on exporters whose competitiveness has been squeezed by a prolonged bout of "endaka," or strong yen, in the past few years. As expected, the central bank pledged to expand its asset purchases. It said it would buy about 13 trillion yen ($145 billion) in assets per month from January 2014 including Japanese government bonds and treasury bills. Its current smaller asset purchase scheme will continue until the new plan comes into effect. The Bank of Japan said its "open-ended" easing will increase purchases of government bonds and other low-risk financial assets without setting a deadline. Describing its inflation goal as a "price stability target," the central bank said it would watch for "any significant risk to the sustainability of economic growth, including from the accumulation of financial imbalances." But while the economy remains "relatively weak," public spending and housing investment appear to be picking up, and recoveries in overseas markets will also help stimulate demand, it said. The Abe government is expected to nominate as Bank of Japan governor an expert known to favor its policies when Shirakawa's term ends this spring. Bundesbank president Jens Weidmann said in a speech in Frankfurt on Monday night that one consequence of undermining central bank independence could be an "increasing politicization of exchange rates." Associated Press writers Geir Moulson in Berlin and Mari Yamaguchi contributed to this report.